Club golfers are set to be the big winners with TaylorMade signing on as title sponsor for the 19th annual World Masters Golf Championship on the Gold Coast from 19 to 25 October 2014. The TaylorMade announcement marks a new beginning for this tournament which was well known as the Mitsubishi Masters. Mitsubishi Motors had sponsored the tournament since it started 19 years ago. Hosted by Go Golfing, Managing Director Peter McCarthy told Inside Golf he was grateful for Mitsubishi Motors’ long-term support and excited about what TaylorMade will bring to the event. TaylorMade is well known the world over as the leading manufacturer of golf equipment for tour players and everyday golfers. Australia’s own Jason Day, Sergio Garcia, Dustin Johnson, Paula Creamer and Jessica Korda are among the tour winners playing TaylorMade. Part of sporting giant adidas, TaylorMade also have Ashworth and Adams Golf in their brand portfolio. The TaylorMade World Masters Golf Championship is open to male and female golfers aged 35 and over. There are 18 age and handicap divisions, guaranteeing golfers compete and play with golfers their own age and standard. Golfers enjoy a professional tournament experience as well as nightly social and entertainment events headlined by a welcome dinner featuring international comedy and a gala presentation dinner. There’s over $100,000 in prizes which must be won and a car, overseas golf tours and luxury golf holidays are among the major prize draws. The success of the World Masters on the Gold Coast inspired Go Golfing in 2000 to start the Wrest Point Masters in Hobart. Fifteen years on this event continues to attract 400+ golfers for what is arguably Australia’s best ‘week of golf’. Go Golfing’s plans for worldwide expansion of Masters Tournaments has got off to a great start with 600 golfers competing in the inaugural Centara World Masters in Thailand. China and Vietnam are also on the drawing board. Starting with the Mitsubishi Masters 19 years ago, Go Golfing Travel now takes golfers all over Australia and to 20 countries for tournaments, tours and holidays as well as hosting record numbers of international visitors here to enjoy Australia’s golf and attractions. Early Bird Entry to the TaylorMade World Masters Golf Championship is A$849 for the Golfer Package. For more information on Go Golfing visit www.gogolfing.net.au or call 07 5536 8681. Here’s an event where everyday club golfers of all handicaps are the stars, and winners are crowned World Champions. Better still, you play four of the Gold Coast’s premier resort courses, compete for $100,000 in prizes with the first prize a trip to the US Masters in 2015 valued at more than $19,000. Have a great holiday with loads of fun and make new friends at the quality social and entertainment events served up each night. Hosted by Go Golfing, the TaylorMade World Masters Golf Championship is well known for its supreme organisation and great value. Playing with golfers your own age and standard is one of the events great traditions. 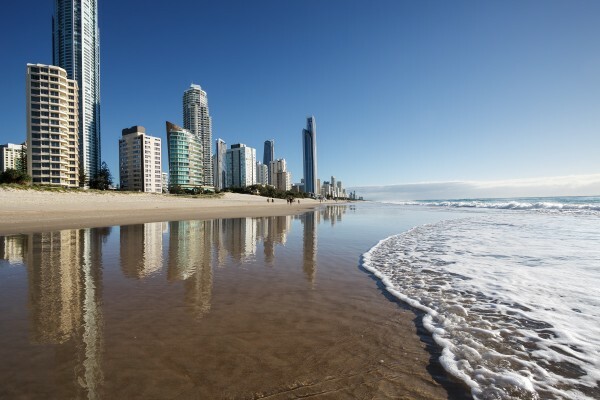 Free carriage of your golf clubs on Virgin flights, discounted Gold Coast accommodation, free golf transfers, and valet service for your golf clubs are just some of the services included for players. The welcome and gala presentation dinners are grand affairs with world class entertainment. There’s a lively 19th hole venue and VIP events. Bring your non golfing partner and they will be pleasantly surprised by the range of interesting events and services to spoil them. While winning isn’t everything, the golf prizes are better than you can imagine and even if you don’t play well, you can win big at the major prize draw. 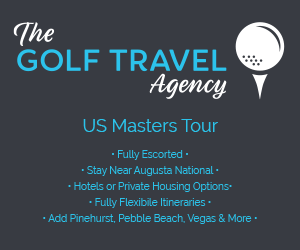 Trips to the US Masters, overseas holidays and luxury golf are the prizes given away every year. Perfect for singles, couples and groups of friends, sign up now for a great week of golf, fun and entertainment at the TaylorMade World Masters Golf Championship.